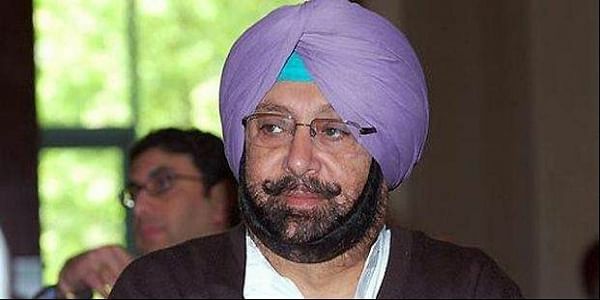 Chief Minister Amarinder Singh on Friday directed the state police to be vigilant against radicalization campaigns being carried out on various social media platforms such as Facebook. CHANDIGARH: With the recent busting of a terror module operating in Punjab having links to other countries, Chief Minister Amarinder Singh on Friday directed the state police to be vigilant against radicalization campaigns being carried out on various social media platforms such as Facebook. Calling for greater vigilance along the India-Pakistan border, as the infiltration activity moves southwards once the passes close in neighbouring Jammu and Kashmir due to inclement winter weather, he said that the Punjab Police should curb any attempt to use territory of the state for anti-national activities. Chairing a high-level meeting to review the crime and law and order situation in the state, the Chief Minister said prevention of terrorist crime was his government's top priority agenda and ordered all district police chiefs and commissioners of police to lead from the front in combating such threats to Punjab's peace and stability. He ordered all-out efforts on the part of police to trace previous undetected cases in a time-bound manner, especially the Maur bomb blast in Bathinda (Jan 31), murder of Chand Kaur (Bhaini Sahib) and attack on Sikh preacher Dhadrianwale in Ludhiana. Emphasising his government's zero-tolerance approach to handling cases of sacrilege, the Chief Minister said any attempt to disturb the state's communal harmony would be strictly dealt with. "Deputy Commissioners and CPs/SSPs would be held responsible for any incidents of sacrilege in their respective areas," he said, directing them to have CCTV cameras installed immediately through community participation and engagement, and to ensure custody management of sacred religious books where no CCTV cameras are installed.